Time Out and Time Out Market (“we”, “us”, “our”) respects your concerns about privacy. This Online Privacy Notice (the “Notice”) applies to personal data we collect on www.timeout.com and www.timeoutmarket.com (the “Site”). The Notice describes the types of personal data we obtain, how we use the personal data, and with whom we share it. We also describe the rights you may have and how you can contact us about our privacy practices. Our web servers may log information such as your operating system type, browser type, domain, and other system settings, as well as the language your system uses and the country and time zone where your device is located. The web server logs may also record information such as the address of the web page that referred you to our Sites and the IP address of the device you use to connect to the Internet. They may also log information about your interaction with the Sites, such as which pages you visit. To control which web servers collect information by automated means, we may place tags called “web beacons” — small files that link web pages to particular web servers and their cookies. We may also collect information from your browser, such as your browsing history, and use it in conjunction with data gathered from forms and emails to help us understand and respond to your needs. We use personal data that we collect automatically through cookies, non-cookie-based tokens, web beacons, and other automated means for purposes such as customizing and enhancing our visitors’ visits to the Site, facilitating use of the Sites, collecting statistics about your visits to the Site, and understanding the manner in which our visitors browse the Site. We also use the information to help diagnose technical and service problems, administer the Site, and identify visitors to the Site. We use clickstream data to determine how much time visitors spend on web pages of the Site, how visitors navigate through the Site, and how we may tailor the Site to meet the needs of our visitors.  We use the personal data for the purposes described above because we www.timeoutmarket.com 6 have a legitimate interest in operating and improving our Site that is not overridden by your interests, rights and freedoms to protect personal data about you. The information collected by the cookies and web beacons (including your IP address) is available to the service providers, which use the information to evaluate your use of the Site.